Have you ever met someone and just fallen in love — I did, and it’s probably not the story you’re expecting to hear. For me, it was Allie — and then Ben, and what led to an amazing relationship with this Interfaith Couple, as their wedding officiant. Let me share their story. About a year ago I was contacted by a young woman looking for someone to officiate her Jewish-Interfaith wedding. 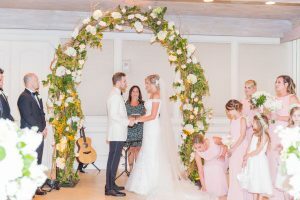 She was originally from South Florida, and her parents live here now, and they were planning their wedding at the beautiful Addison in Boca Raton, Florida. Ben and Allie had met in Grenada, while at Medical School. Ben helped Allie up the stairs with her luggage, and over the next 3.5 years, they would fall in love and share the most romantic love story. While studying in Medical School became their #1 priority, they fell in love over the simple things in life, and couldn’t wait to begin their lives together, post Medical School. But here was the problem. When I met Ben & Allie, they were in the process of matching. What if they didn’t match to the same schools? Could their love endure being in different places during such a challenging time in their lives? As we sat together, somehow, we all knew – that everything was going to work out fine, and they would land exactly where destiny was going to take them. Holy moly! How excited was I when I found out they both matched in Arkansas, and got a puppy?? Everything worked out so well for them – and even though we might think – HUH? ARKANSAS? I just love how Allie and Ben looked at this as such a miracle, and that life was taking all the right turns at just the right time. I loved marrying Ben and Allie. Even though it rained and we had to go indoors, The Addison is a beautiful place to be, no matter where you have the wedding ceremony. 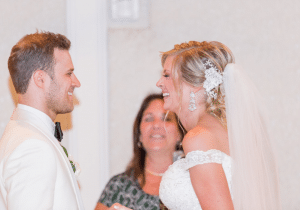 But what really shined through was the love Allie and Ben shared, and the excitement for finally starting their lives together – IN THE SAME PLACE! How adorable is this Interfaith couple? I couldn’t be happier to be their wedding officiant on this very special day! Where will their love take them next? I can’t wait to find out where Ben and Allie’s next stop on their journey will take them! I sure hope they stay in touch – and don’t wait too long till we get to welcome an adorable baby – but wish them all the best in their medical profession journeys. Love you guys! A Marriott Kind of Interfaith Wedding Weekend! 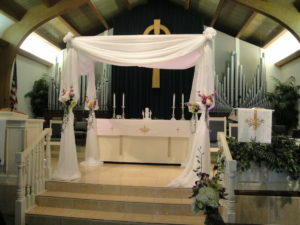 This past weekend, I had the pleasure of performing two Interfaith weddings that were very special to me. 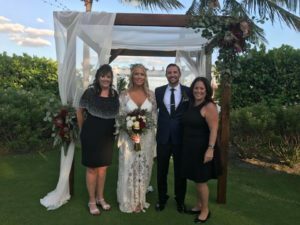 Bevin and Brian were married at the Marriott Biscayne Bay, and Elaine and Larry were married at the Marriott in Marco Island. It’s funny that they were both at Marriotts, because one of the first things I learned about Larry when I met him, was that he was obsessed with Marriott, and probably holds more points than anyone on earth! But what also made these Interfaith couples very special was how creative they both were in planning their wedding ceremonies. There were differences that I just loved, and made them so much fun to reflect back on. First, Bevin and Brian are diehard Canes fans, so it was no surprise when they chose to include the sand ceremony, and had individual bottles of sand with their initials on them, filled with orange and green sand! But what made Bevin’s Interfaith wedding so unique was that Brian’s mom hand made the bride’s bouquet, as well as the bridesmaid’s, and the groomsmen’s boutonnieres out of beaded jewels and fibers. They were stunning! Elaine and Larry’s Jewish Interfaith wedding ceremony was completely unique – they did an amazing job of planning, but incorporated some really fun, lighthearted aspects into the night. The scary part was, they put their wedding rings in a treasure chest, and buried them in the sand right near the chuppa. I lost sleep over this for days, and even though they marked the spot with a wooden “x”, it still gave us a scare when their little ring bearers couldn’t find the chest, even though they were digging frantically with their shovels. WHEW, were we relieved when they found those rings! My favorite part of a west coast beach wedding, though, is something money can’t buy. The west Florida sunsets are beyond beautiful, and I had so much fun capturing the coastline. But, the coolest part of the Jewish Interfaith wedding ceremony, was that after they were pronounced, we all lined up with sparklers, and formed 2 lines on either side, and they came running up from the beach, and through the line of sparklers, just as the sun was setting, and it was just so beautiful, lively, and unique! My awesome Interfaith couples are now celebrating on their honeymoons, and the certificates are filed, but the love and joy in my heart is still so strong for them both. Thanks for the awesome memories, and the really great Marriott weekend, everyone! P.S. BIG shout out to Alexina at the Marriott Biscayne Bay, and to Jacey Wood at the Marriott Marco Island. 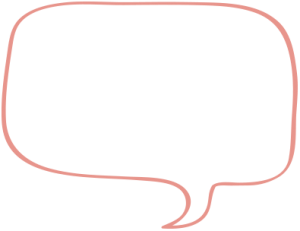 Both operations were first class, and I especially loved how totally in control Alexina was and had every detail covered before I even asked for anything. Great job, ladies! You are true professionals! Also – I really loved working with Lisette, the photographer for Bevin & Brian’s wedding – she’s a sweetheart, and her work is just so yummy! Soo – off to Islamorada on Saturday for Cheryl and Prav’s Jewish Hindu wedding ceremony extravaganza! See you next week! 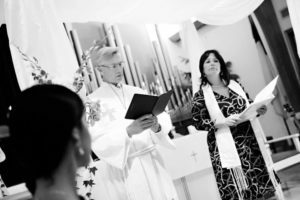 Double Header Interfaith Wedding Weekend in Juno Beach and Miami – What Fun! What a busy Florida wedding weekend it was! I love a day that starts with an Interfaith wedding, and Saturday was no exception! Matthew and Valeria were married at the Juno Beach Park, in a private beach wedding ceremony with their closest friends surrounding them. The weather on Saturday was stormy, and I was really concerned, driving to Juno, but it managed to hold off, just long enough for us to have their Interfaith wedding ceremony on the beach … but, no sooner was that ceremony over, the rains re-appeared! We were so thankful for serendipitous timing! Their Interfaith wedding was simple. I have a special ceremony that I use for beach weddings, that is much nicer than a “civil” ceremony, but nothing close to the elaborate religious style weddings I so often perform. Their friend read the Apache Wedding Blessing, and it was simple, and fun! 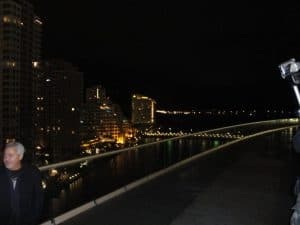 Later that night, I married Ronni and Maude, at the top deck of the Viceroy Hotel, in downtown Miami (Brickell Key). The view was magnificent, and again, it was a small intimate Interfaith wedding – just a few friends, and a beautiful photo location! Wow, that hotel is amazing! I love a weekend that is full of love!